Being engaged is one of the most wonderful and memorable times in a woman’s life, so it’s no surprise at all that you’d wish your proposal day to be perfect—especially when it comes to the engagement ring. But how do you make sure that the love of your life would pick out the ring that would sweep you off your feet, a ring that you’d always want to wear for the rest of your life? Here are the right hints to drop to lead your beau to the engagement ring of your dreams. The very first thing that you’d likely have in mind when thinking about engagement rings is the shape of the stone, as this is probably something have been dreaming of for so long. There are places like Ling Jewellery creates beautiful wedding rings in Singapore, so let your guy know whether you want a marquise, princess cut, heat, oval or the traditional round shape diamond for the stone of your ring. If he is indeed planning a proposal, this hint would be a very big help for him when deciding which engagement ring to offer to you. The next point to hint your boyfriend is the type of metal you want for your engagement ring. You have plenty of options to choose from. The most popular choices are white gold, rose gold, classic gold and titanium. You should also decide whether you prefer the metal of the proposal ring to match the wedding bands. Although often overshadowed by the stone, the metal of the ring contributes a lot to its overall aesthetic, so make sure to drop clues about this as well. This is a hint you want to be extra careful in dropping. When thinking of the size of the rock you want, you should consider how much he’s making and what he’s budget may be. You certainly don’t want to hint for the size of a diamond you know he can’t afford. It’s better to approach this in a way of dropping hints of rocks you find too big. He can surely take it from there. This won’t be a hard choice for you boyfriend, since the majority of women in Singapore prefer diamond over any other type of stone. However, it’s also becoming more common for women to pick other types of stones. For example, black diamonds are slowly increasing in demand because of its unique and sophisticated beauty. Actually, there’s really no right or wrong choice when it comes to choosing the type of stone, as any stone will look beautiful given the right cut and band. All you have to do is to let your partner know what stone appeals to you the most. 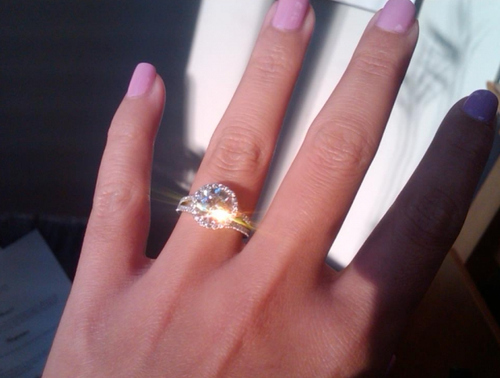 There is no other way to be clear of the look of the ring you like except by showing him a picture of it. This is a wonderful and clear way to drop hints. You can browse the internet for photos of rings while he’s around or leave a page open that displays a photo of the ring you like. You can also cut out photos from magazines and leave it somewhere in his house for him to see. You can do it subtly or casually as long as you make sure he won’t feel uncomfortable with it. This is also the right timing to think about the wedding bands. You want your wedding ring and engagement ring to look good together, don’t you? After touch-basing on the wedding bands, it’s time to plan for it a little bit more. Decide whether you want a wrap style wedding ring or the more traditional style. Many couples in Singapore choose a set that includes the engagement ring and wedding bands to ensure that all of the rings match, especially the engagement ring and the wedding ring of the woman. If you find the ring you love in a specific store or you just saw that a certain store seems to have more of your preferred style than others, let your significant other know the name of this jewellery store. Perhaps, you can casually mention that you and your best friend were window shopping and you saw a range of beautiful wedding rings in this store. You can also bring up how good their customer service is and the return and exchange policy they offer to their clients. •	Use it as a screensaver. Once you find the ring you want, try to take a photo of it and strategically use it as a screen saver on technological devices. Save the photo as your smart phone’s lock screen or your desktop’s background. •	Create a Pinterest board. There’s nothing technology can’t do these days. You can surf the web and pin images of your favourite ring styles and compile in a Pinterest board with a title “Dream Engagement Rings”. Voila! Half of the job is done. •	Use Facebook to share ideas. 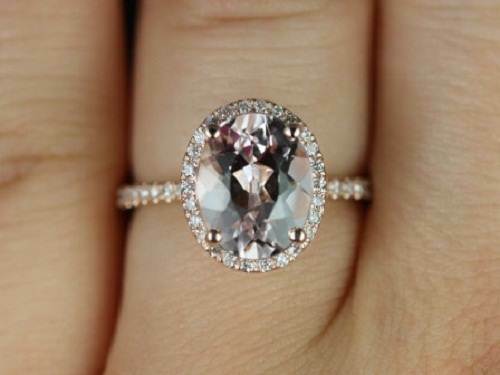 Facebook is always a subtle way to drop hints for your dream ring. Share photos of rings you find appealing or if you’re bold enough tag him in a photo of your favourite ring. Hopefully, all these details will make it easier for you to convey your thoughts to your man and for him to pick a ring that you will truly love. These are the hints you would want to give your boyfriend to ensure he will get you the engagement ring you have always dreamed of.